The College of Pharmacy has ranked third in a clinical skills competition - the first of its kind in the kingdom. It was held on the sidelines of the first Saudi International Pharmaceutical Science Meeting & Workshops Conference (SIPHA) under the umbrella of the Saudi Pharmaceutical Society in Riyadh. The College of Pharmacy took part in the competition with a team of two students, who are: Shahd Al-Ghamdi and Rawan Al-Hassani, with Dr. Abdulhaib Mohamed Hanif, the associate professor at the Clinical Pharmacy Department in the College. The competition was included the colleges of pharmacy across the kingdom. 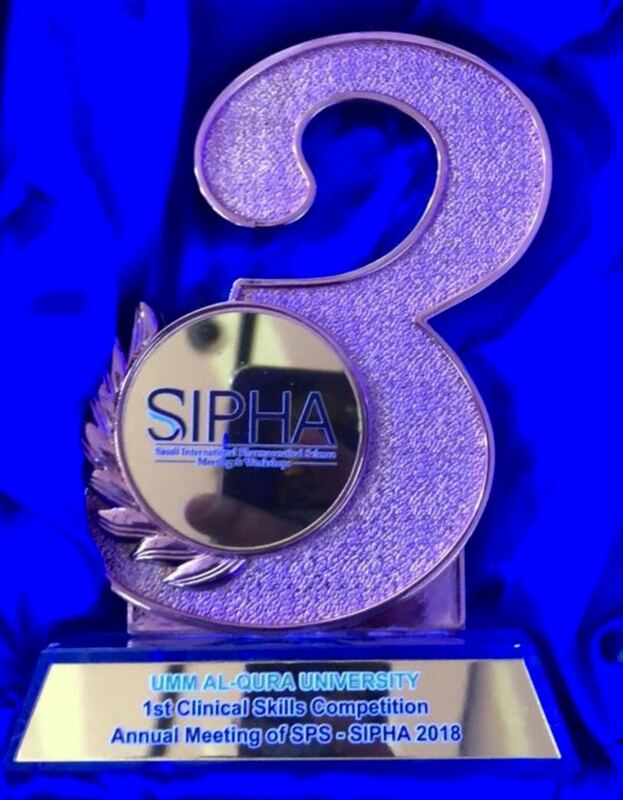 UQU’s team was able to rank third at the level of all Pharmacy Colleges in Saudi Arabia in the clinical skills competition which was part of the events of the SIPHA Conference, held on the period extending from 18 to 20 February 2018. The College praises the support of UQU President, Dr. Bakri bin Maatouq Assass, and his contributions to the development of the educational process in UQU and the College of Pharmacy.